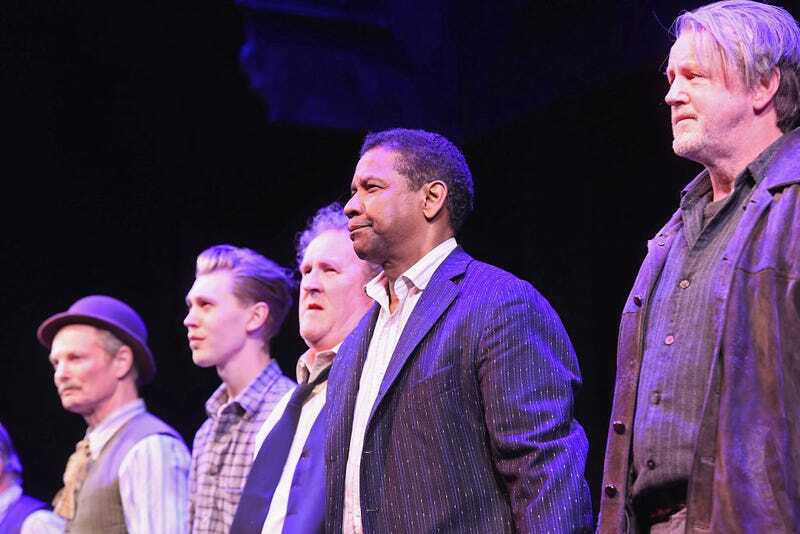 Actors Bill Irwin, Austin Butler, Colm Meaney and Denzel Washington appear onstage during The Iceman Cometh opening night on Broadway on April 26, 2018, in New York City. On Tuesday morning, the 2018 Tony Award nominations were announced, and along with some familiar faces in the world of black actors and actresses, there were a couple of new ones. With Broadway long known as the Great White Way, it’s always a great day when some of our best are honored, especially when it comes to someone as great as Denzel Washington. Washington, who currently stars in The Iceman Cometh, was nominated for best leading actor in a play. With the recent opening of the play and the rave reviews it received, the nod definitely doesn’t come as a surprise. What may come as a surprise to some people is the fact that everyone’s favorite Paper Boi is more than just that dude from Atlanta but a classically trained actor, and he now has a Tony Award nomination to brag about. Brian Tyree Henry received a nomination for best featured actor in a play for his role in Lobby Hero, which has him going up against his co-star Michael Cera in the category. And a huge congrats to Children of a Lesser God’s Lauren Ridloff for becoming the first black deaf woman to receive a nomination, in a role for which Marlee Matlin became the first deaf woman ever to be nominated for an Oscar in and the first to win. The 2018 Tony Awards air Sunday, June 10, on CBS.